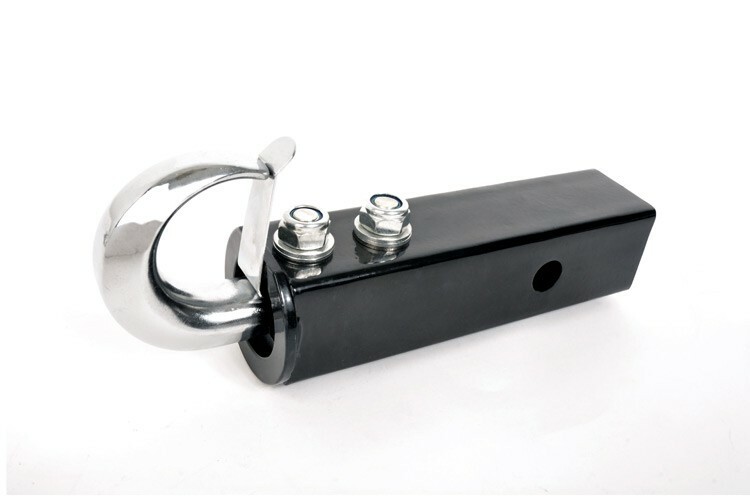 This Receiver Tow Hook offers a recovery point that fits all 2 in receiver hitches. It is made from steel, comes in a durable black finish powder coat with a chrome finish hook, and has a weight rating of 10,000 lbs. Tow hook is drop forged high strength steel. Accommodates any 2 in style receiver hitch.